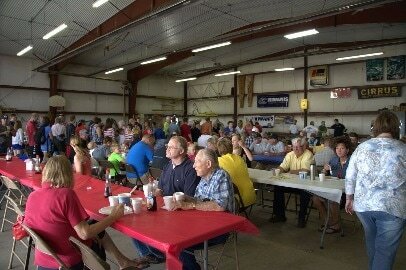 The annual Estherville Flight Breakfast is set for another great Fourth of July celebration. The annual Estherville Flight Breakfast is set for another great Fourth of July celebration. 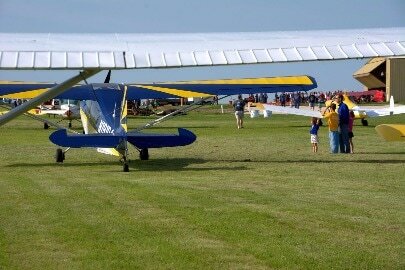 Held at the Estherville Airport, this annual breakfast offers the popular breakfast menu of pancakes, eggs, sausages and drinks, all which will be served from 7-11am. Entertainment includes the Northwest Iowa Jazz Band, who will provide music during the Flight Breakfast. Held at the Estherville Airport, this annual breakfast offers the popular breakfast menu of pancakes, eggs, sausages and drinks, all which will be served from 7-11am. Entertainment includes the Northwest Iowa Jazz Band, who will provide music during the Flight Breakfast. Hope to see you there! Plane rides will be available by Estherville Aviation for a fee. FREE kids pony rides will be available all morning long. RC Planes will be taking flight for your entertainment all morning long. Walk around the airport to view some sweet classic cars from the Black Knights! All morning: kids games and activities including face painting and more!